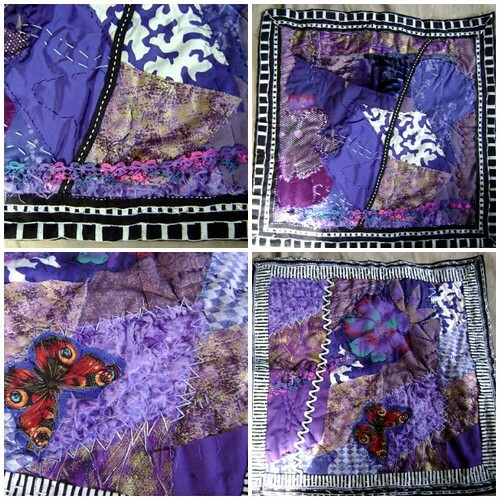 purple doll quilt, originally uploaded by Charger’s Mommy. My youngest neice loves the baby crib quilt I made for her when she was born and she loves purple as much as me. I thought she would enjoy making a doll quilt with me. I had her pick and layout fabric scraps. Then I spent most of the vacation hand sewing the mini quilt. I hope she enjoys it. This entry was posted in Passions on July 28, 2008 by Sheba.